SecuringIndustry.com - FMD: What happens in a no-deal Brexit? FMD: What happens in a no-deal Brexit? There is considerable debate about the consequences of Brexit on the UK’s implementation of the EU medicine verification system, and the risk that UK citizens may miss out on the benefits of the system. The Falsified Medicines Directive’s safety feature regulation officially went live at the weekend, which means that after an implementation period all medicine packs should be scanned at the point of dispensing to protect patients against falsified, expired or recalled medicines. As of now, the UK is linked into the IT infrastructures that allow those checks to be made. But with Brexit due to take place, what will happen to the UK’s involvement in the system after March 29, when the UK is officially due to leave the EU? The short answer is that it depends – and High Pullen, president of the European Medicines Verification Organization (EMVO) that operates the central data hub underpinning the system, told us there are various possible outcomes. After that, the UK and EU would need to negotiate their comprehensive trade agreement, and the hope is that in that scenario the UK would find a way to remain in the EU system. “We think that’s the best solution not only for the UK but also Europe,” said Pullen. According to Europe's pharma trade association EFPIA, 45 million patient packs go to the EU from the UK every month, while 37 million packs go in the opposite direction. With the chances of May’s deal going through looking vanishingly small, however, there the threat of a no-deal Brexit is looming large, and the EMVO is hoping that even in this scenario there would be pragmatism on both sides to allow the patient safety benefits to trump political considerations. “For us that’s the best outcome in a no-deal scenario, but the reality is that the future in that event is very uncertain,” said Pullen. 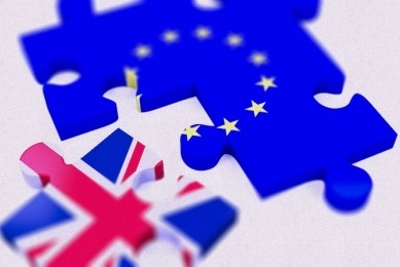 Brexit uncertainty means that organisations across the UK’s medicines supply chain don’t know whether the system will still be in place in seven-weeks’ time as a no-deal Brexit would mean a UK revocation of the FMD legislation, says the Association of the British Pharmaceutical Industry (ABPI). “Not being part of the safest medicines system in the world, one that the UK has helped design and build – and which provides protection against fake medicines – makes no sense,” commented ABPI chief executive Mike Thompson. The UK Medicines and Healthcare Products Regulatory Agency (MHRA) has already said it thinks the UK would not have access to the EU central data hub in no-deal, and has suggested that in the long-term the UK may have to develop its own verification system that would sit in parallel to the EU’s platform. That’s perfectly possible, said Pullen, although he wouldn’t speculate on how much such a system would cost, or indeed how long it would take to set up. UK Liberal Democrat peer Baroness Walmsley said this is just one example of why her party is campaigning for a second referendum on Brexit with an option to remain in the EU and as a consequence the medicines verification system. “We have been fighting exactly for specific things like the Falsified Medicines Direction – the systems and safeguards we all rely on, but which are often too small for flashy headlines,” she writes in Politicshome.com. Theresa May has said she will update MPs tomorrow about recent Brexit talks as she continues to seek support for her deal, having visited Brussels and Dublin last week to try to get agreement on changes to the controversial Irish backstop – the insurance policy aimed at preventing the creation of a hard border between North Ireland and the Republic.